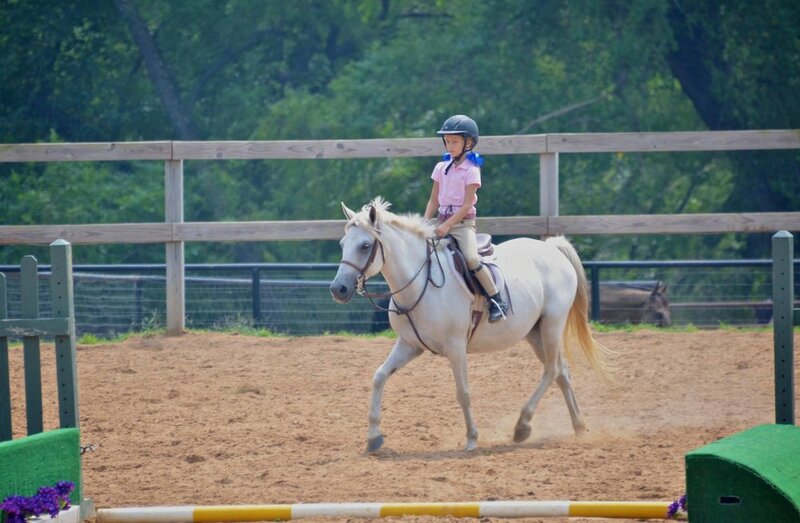 Is it time for you or your child to have your own horse? Can get a horse with higher skill level to take rider further than school horses can. Most school horses only jump up to 2'3 which is Beginner Division at school shows. If you wish to progress to higher levels you'll need your own horse or lease horse. Can get a fancier horse that ribbons better at the shows. Helps develop commitment level. Riders with their own horses come out on regular basis to ride or just visit their horse. There are far worse places a teenager can spend their days than at the barn with their horse. Look for a horse finished (not green or still learning) in the discipline you want to do. A well-trained horse will teach you far more than any school horse can; but along with training, the horse must have the proper temperament and be able to succeed in your discipline if you wish to show. Work with your trainer to help find you the most suitable horse for your needs. Your trainer knows your strengths and weaknesses and what to look for in a horse that can help you excel. Many trainers also have a network of finding horses that may not be listed on the market. Please be sure to ask your trainer if you are ready to get your own horse! Click the link before for more information about how SaddleBack can you find a fantastic horse.